COTABATO CITY, Philippines (Mindanao Examiner / Mar. 19, 2011) – Two brothers who are both governors in Mindanao, continue to stand side-by-side and resisting proposals to postpone the elections this year in the Muslim autonomous region and synchronize it with national polls on 2013. 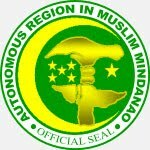 Mamintal Adiong, the governor of Lanao del Sur, is the elder brother governor Ansaruddin Adiong, of the Muslim autonomous region. Lanao del Sur is one of five provinces under the autonomous region and four of its governors have strongly supported proposals to defer the elections and stood behind President Benigno Aquino who is also pushing to synchronize the polls with the local and national elections to prevent cheating ands fraud. The four provincial governors - Sakur Tan of Sulu; Jum Akbar of Basilan, Sadikul Sahali of Tawi-Tawi and Esmael Mangudadatu of Maguindanao – have signed a manifesto supporting Aquino, who has certified as urgent the House Bill 414 which calls for the postponement of the polls and synchronizing it to the mid-term elections in 2013. Aquino also wants to appoint officers that would run the autonomous government until a new set of leaders is elected. But Tan said he still favors to be out of the Muslim autonomous region because of lack of support and development programs from the regional government since the time of detained governor Zaldy Ampatuan, who was linked along with his father and brother and other clan members to the brutal slayings of 57 people in 2009 in Maguindanao province.